No matter how much we may love a phone, there comes a time for it to head on to greener pastures, to shed its physical body and exchange bytes with the souls of other great handsets in the sky. Today I am sad to write the obituary for the Droid Maxx Developer Edition. This is a great phone with a massive 3500mAh battery and support for wireless charging, giving it the optimal power situation. Yet despite packing so much juice, even it can't last forever. 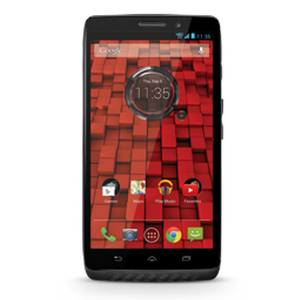 The Droid Maxx Developer Edition has reached the end of its life, and Motorola has taken the phone down from its site. 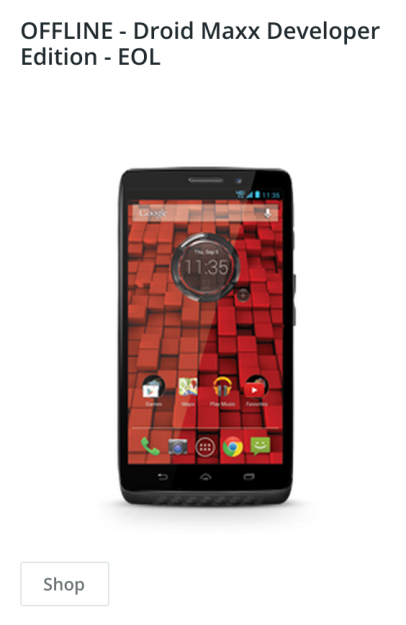 The Verizon-only Droid Maxx Developer Edition originally shipped at $649.99 and came with an unlockable bootloader, an attractive feature on the Big Red's network. Anyone who hasn't already purchased a unit and still wants one will have to turn to other means of acquiring it. Unfortunately, this is just the inevitable cycle of things. Best of luck.